Social security also regarded as Social Security is a federal government framework that provides security in terms income for the US citizens and their families after they qualify for the social security benefits. The US citizens need to have social security number to get a job in the country. What are the types of social security? 1. Retirement benefits: - these are the benefits which one can receive after their retirements. You need to be 61 years and 9 months old to get Social Security retirement benefits. 2. Disability benefits: - to qualify for the disability benefits one needs to pay taxes. There are two programs under disability benefits. 3. Benefits for spouse/family member who passed/survivors: - these are the benefits which are provided to the parents, children, and spouse if they qualify. Eligibility depends upon the earnings of an individual. 4. Supplemental security income: - these are the benefits delivered to the people with low resources and income who are disabled, blind or older (65 years). Disabled children can also receive such benefits. How can I open “My SS Account”? You must visit the website of SSA to open your account. After opening an account online you will be able to track and also manage your social security benefits. This way you can also make positive changes. Visit https://www.ssa.gov/ to open your account. Social security card is among the most vital documents you need to have. It is also used as a part of identification. To get a job you will need to show your Social Security card and also to receive your social security benefits. at the time of applying for Social Security number, the SSA will assign you with social security card ( with 9 digit number). How can I get my Social Security Card? All your documents. Visit https://www.ssa.gov/ssnumber/ss5doc.htm to know the details of the required documents). How can I get SS number for my newborn baby? You can get the Social Security Number of a newborn at the hospital after the baby is born. You just need to provide the birth certificate. Delaying in getting a newborn Social Security number might result in a long process as the SSA will verify the information of an infant. Processing time is 2 weeks. How can I apply for the replacement of my SS card? Need to have a valid state issued ID or driver’s license. Your social security card is an important document so make sure that you always keep it safe and instantly apply for a replacement in case it is lost/ stolen. One can apply for the replacement only 3 times in a year and 10 times in your lifetime. In case you live outside U.S. Visit the SSA website. US citizens can travel to any part of the world and can also live in some of the countries and still receive Social Security benefits. To find about your eligibility of citizens overseas SSA benefits visit https://www.ssa.gov/international/payments_outsideUS.html. Is it possible to count credits if I work overseas? In case a person is not having enough credits to qualify for SSA benefits while working in the US, you may qualify by counting credits from the country you are currently working. The social security administrations have an agreement with twenty-four countries. On the off chance you have earned the credits from any one of the countries, and then you still qualify for the United States social security benefits. Visit https://faq.ssa.gov/ics/support/KBAnswer.asp?questionID=3820 to check out your work credits from another country. How can I get proof of my SSI? You can get SS verification online by getting a letter that verifies monthly SS benefit amount https://faq.ssa.gov/link/portal/34011/34019/Article/3706/How-can-I-get-a-form-SSA-1099-1042S-Social-Security-Benefit-Statement?URL=/apps6z/i1099/ee001.jsp (for Tax principle). Why I need SSI verification? How can I report the death of the beneficiary? · Contact local Social Security office or call 1-800-772-1213 (TTY 1-800-325-0778) to create a report. How can I receive federal benefits? Federal benefits are veterans / social security benefits. You can enroll by mail or online or call the helpline number 1-800-333-1795 (TTY: 1-866-569-0447). What are the contact details of SSA? You can call them, mail them or chat with the executives anytime. Call toll-free number: - Call us toll-free at 1-844-USA-GOV1 (1-844-872-4681). (The USA.gov telephone line is available between 8:00 AM and 8:00 PM Eastern Time, Monday through Friday, except federal holidays). What if I face problems with chat function? You must block the pop-ups to take full advantages of the chat services provided by Social Security Administrations. Internet Explorer 11 versions are not compatible, try a different browser. You can also directly contact federal government agencies and get A to Z Index of U.S. Government Departments and Agencies. 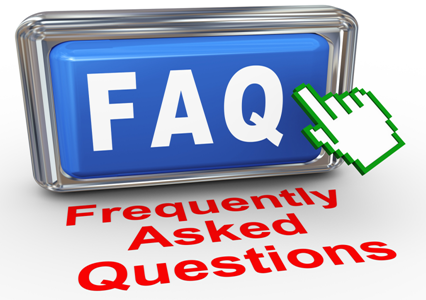 Also call 1-844-872-4681 (1-844-872-4681) for more FAQ's from information specialist online. You can mail your queries anytime from anywhere using the contact form.